Long-term investing isn’t as easy as it sounds. “Find good stocks to buy them and hold them forever” sounds like solid investing advice. That general principle has led to the success of Warren Buffett, likely the world’s most successful investor, and shareholders in his Berkshire Hathaway Inc. (NYSE:BRK.A, NYSE:BRK.B). But there’s a reason that Buffett’s success remains so singular. Good companies don’t stay good forever. Look at the recent struggles of former blue chips like Macy’s Inc (NYSE:M), IBM (NYSE:IBM) and automakers Ford Motor Company (NYSE:F) and General Motors Company (NYSE:GM). Industries change — and these days, they seem to change faster than ever. In September, we highlighted 10 retirement stocks to buy and hold for the rest of your life. All 10 looked well-positioned to manage through any economic or cultural changes. We’ll start with Buffett’s company itself. It did look for a while like the “Oracle of Omaha” might have lost his magic. Buffett’s Berkshire Hathaway actually underperformed the S&P 500 between the beginning of 2008 and the start of 2016. The above-market returns Buffett and partner Charlie Munger had provided for decades seemed to have come to an end. But BRK has rallied of late, gaining 21% over the past year. Investment managers Ted Weschler and Todd Combs have an increasing amount of responsibility for the portfolio — and are doing quite well themselves. Berkshire’s wholly-owned businesses provide significant diversification, with the insurance business (notably GEICO) in particular providing a defensive component as well. Admittedly, Berkshire Hathaway stock doesn’t pay a dividend, with Buffett long arguing that he and Munger were the best stewards of excess profits. But he changed his tune somewhat at this year’s annual meeting, with Berkshire having the enviable problem of too much cash and not enough compelling investments. 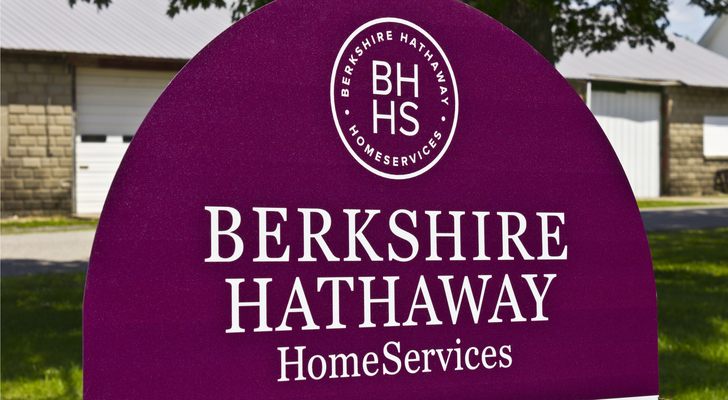 Potential retirement income and ownership of a world-class portfolio of assets would be an enticing combination, but with or without a dividend, Berkshire stock is a worthwhile long-term buy. 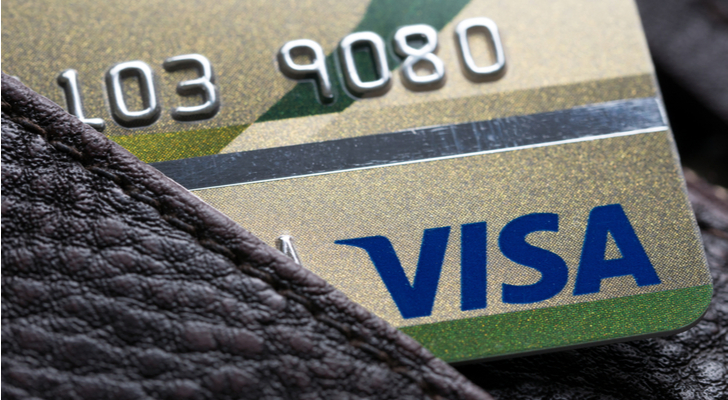 There are two clear arguments against Visa Inc (NYSE:V) as a long-term holding. The first is the valuation. InvestorPlace columnist Larry Meyers argued just this week that Visa stock looked too expensive at 27x forward earnings. The second is that the Visa dividend isn’t particularly generous, with the yield just 0.6% at the moment. But I still think Visa is a compelling buy, as I detailed earlier this month. Visa stock admittedly isn’t cheap — but it’s rarely, if ever, cheap. And its growth potential is impressive, with earnings likely to grow in the 15% range for years to come. The company has dominant market share in a category that will continue to grow thanks to e-commerce growth, declining cash usage and increasing international reach. As for the dividend, the yield doesn’t look great … yet. But with the distribution likely to rise at a faster rate than earnings, given a ~20% payout ratio, Visa’s dividend will catch up over the next few years. And I expect the appreciation in Visa stock itself will more than makeup for the low initial yield. Interpublic Group of Companies Inc (NYSE:IPG) probably seems like a somewhat odd choice for this list. For starters, IPG stock has been rather volatile over time — the stock cleared $55 at the 2000 peak of the dot-com boom and then dipped below $5 at the nadir of the 2008-09 financial crisis. Secondly, growth seems like a concern both short and long-term. Revenue actually declined modestly in the company’s first half, and IPG stock fell 13% after the report. Longer-term concerns surround the stock as well, notably around cord-cutting and commercial-free streaming services like Netflix, Inc. (NASDAQ:NFLX). But from a short-term standpoint, the post-Q2 decline seems to set up a buying opportunity for IPG, which now trades at 14x 2018 EPS estimates. And longer-term, the uncertainty surrounding advertising seems like a potential positive for IPG. The company, along with larger rival Omnicom Group Inc. (NYSE:OMC), is a leader in the advertising industry. Its expertise will become more valuable, not less, in a changing media landscape. Advertising isn’t going anywhere, but it is going to change. The need for advertisers to navigate through that change should benefit the two leaders in the industry. And, for now, IPG gets the nod, given the recent pullback and a slightly higher dividend yield (3.4%). IPG’s business definitely will look different a decade from now, but that’s not necessarily a bad thing for IPG stock. Utilities are classic “buy and hold” stocks, offering income, safety and low volatility. And one of the most attractive is one of the oldest: Consolidated Edison, Inc. (NYSE:ED). ConEd (the “Edison” refers to the famed Thomas Edison, whose Edison Illuminating Company became part of the company in the 19th century) supplies power to New York City and the surrounding areas. It has been listed on the New York Stock Exchange, in various forms, without interruption since 1824, longer than any other stock. Looking forward, ED should benefit from continued growth in the NYC metro … and yet ED stock is not particularly expensive. A sub-20x earnings forward multiple prices in only moderate growth, and a 3.3% dividend yield is a full point higher than the 10-year Treasury. ConEd stock isn’t the sexiest play in the market, but for investors looking for safe, reliable income, ED looks like a solid choice. Healthcare stocks traditionally were considered safe, defensive plays as well. That seems like a tougher argument to make in the current environment, however. Concerns about drug pricing have kept on lid on share prices for drugmakers. An uncertain regulatory environment adds risk to insurers and providers. All told, the healthcare sector simply doesn’t look as safe as it used to. Even with those risks in mind, Amgen, Inc. (NASDAQ:AMGN) looks like a long-term core holding. Brett Owens made a compelling case for the stock in April, and even with AMGN stock up slightly since then, it remains attractive. A diversified development pipeline offers growth with less downside risk than smaller (and particularly single-product) biotech plays. Earnings multiples aren’t especially onerous, with AMGN trading around 14.5x 2018 EPS estimates. And the dividend yields 3%. Again, there are risks here, notably in terms of regulation and pricing pressure. But Amgen is large enough, successful enough, and cheap enough, to take on those risks. 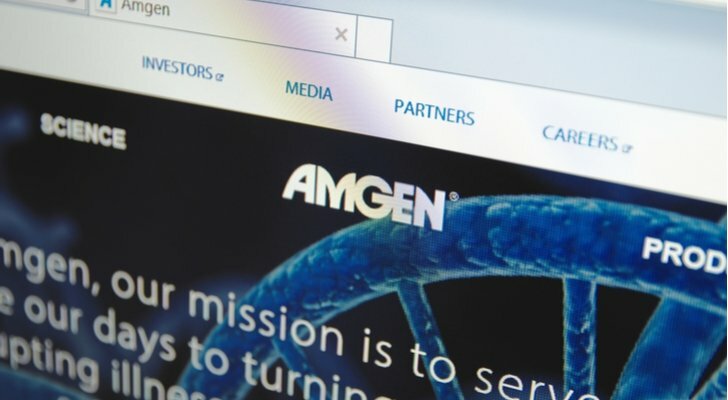 Drug development will continue no matter the regulatory environment, and Amgen’s size and diversification means it should be able to prosper regardless. So-called consumer staples stocks like Kraft Heinz Co (NYSE:KHC) also have been considered defensive stocks — and that’s been the problem. Over the past few years, with bond yields low and many retail investors still nervous about both the economy and the broad market, investor dollars have gone heavily into the space. That’s led to a sector that as a whole looks simply too dearly priced for rather meager growth. Procter & Gamble Co (NYSE:PG), for instance, trades at a higher earnings multiple than it has since before the financial crisis. Back then, it was driving double-digit EPS growth and significant annual dividend increases. Now, minimal profit growth is reflected in the dividend, which was raised only 1% last year and just 3% this year. Yet investors are paying the same multiple they did 10-12 years ago for a much weaker earnings profile. But KHC stock has pulled back substantially over the past few months, making it a much more attractive pick at the moment. KHC has dropped almost 20% just since early June, and there are near-term concerns. The packaged food space doesn’t look particularly strong at the moment, and the acquisition of Whole Foods Market by Amazon.com, Inc. (NASDAQ:AMZN) has raised fears of margin compression. From a long-term perspective, however, the lower price makes KHC look much more attractive. The company is still growing profits, and it still has cost cuts and other benefits coming from the Kraft/Heinz merger. A sub-20x forward multiple is much more attractive in that context — and so is a 3.24% dividend yield. KHC has provided some short-term pain for its current shareholders, but at a much lower price, there should be some long-term gain. Horace Mann Educators Corporation (NYSE:HMN) has a very narrow, but very attractive, niche. The Illinois-based company sells insurance primarily to public school teachers, administrators, and employees. It has been a success so far. Revenue has risen steadily and consistently over time. HMN stock did struggle for most of the last decade, but it’s since improved operations and profit margins. This should be a stable, and attractive, business going forward. The competition remains intense, but Horace Mann has been dealing with that competition for over 70 years now. The customer base should have relatively stable earnings — and far less volatility in tougher economic times. And higher interest rates, should they finally come, should increase interest income on the insurer’s float — and boost overall profits. Following big gains over the past few years, HMN stock isn’t exactly cheap. Based on 2017 numbers, it looks downright expensive, as catastrophe costs took 51 cents off second-quarter earnings per share. But looking forward to a more normal 2018, the stock trades at under 19x analyst consensus, with a 2.7% dividend yield providing income as well. For a safe stock in an environment where safe stocks are both expensive and hard to find, that seems like an attractive combination. Ryder System, Inc. (NYSE:R) is best known for its fleet of rental trucks. But it also provides fuel, logistics, and supply chain management solutions to businesses around the world. There obviously is some cyclicality involved in the business, given Ryder’s reliance on overall business spending. But this is a company that’s been around for 75 years — and has managed through challenging times before. Ryder is an integral part of operations for many, if not most, of its customers. That provides a strong ‘moat’ around the business and a stable base for growth going forward. Short-term, earnings have been choppy, actually declining last year and likely dropping again this year. 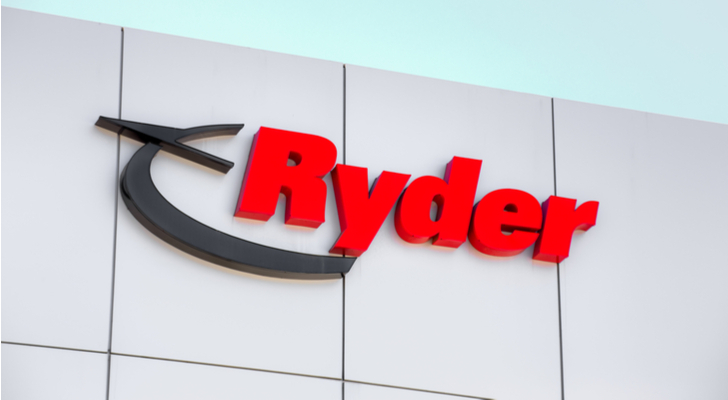 Ryder is dealing with a challenging environment for used truck sales, which has hit earnings. But there is growth elsewhere, and cost savings coming in the second half of the year and in 2018. Long-term, meanwhile, Ryder isn’t going anywhere. And at 18x the company’s cash flow guidance for 2017, the stock is cheap enough to ride out some potential near-term volatility. It’s a bit of tired cliche to base a bull case on the fact that “people always have to eat”. But that is the part of the appeal of agricultural processor Archer Daniels Midland Company (NYSE:ADM). ADM processes corn, wheat, and other products; manufactures food ingredients; transports and stores commodities; and even has a financial business that trades futures. Obviously, that leaves ADM reliant on the cyclical, and occasionally volatile, farming industry. But ADM’s diversification and importance to the supply chain offset some of the impacts of grain price and yield fluctuations. ADM stock hasn’t been a great performer of late, truthfully. A current price around $40 is roughly 20% below 2014 and 2015 highs, and the stock is down 11% in 2017 largely due to a post-earnings sell-off in early May. Farm income has been down the past few years, squeezing margins. But there’s enough here to see ADM as a solid long-term play. Cost-cutting has driven strong earnings growth this year, with more benefit to come in 2018. A 15x forward P/E multiple seems reasonable, and a 3% dividend helps the bull case as well. Long-term, earnings growth probably will be somewhat low. But ADM should be able to drive enough to add value and keep that dividend growing. (ADM is a Dividend Aristocrat, meaning it has raised its dividend for at least 25 consecutive years.) Given the low-risk nature of the stock, that’s enough to make ADM a solid long-term pick. Cypress Semiconductor Corporation (NASDAQ:CY) feels like the forgotten chip stock these days. Nvidia Corporation (NASDAQ:NVDA) is soaring, Advanced Micro Devices, Inc. (NASDAQ:AMD) is a hot turnaround play and memory prices are driving Micron Technology, Inc. (NASDAQ:MU) higher. Even Intel Corporation (NASDAQ:INTC) has broken out in recent weeks. CY stock itself has made some recent gains, and is not far from reaching a five-year high after gaining 35% so far this year. And there’s still more room for upside in the near-term and long-term. The so-called “Cypress 3.0” strategy is moving forward. The acquisition of the IoT business from Broadcom Ltd (NASDAQ:AVGO) positions Cypress well in that space, and automotive applications provide another driver. Underlying that potential is a still-solid base in consumer and industrial revenue. And a sub-14x EPS multiple means CY looks cheap. For investors who like the semiconductor space long-term, but worry about valuation, CY is an intriguing choice. Article printed from InvestorPlace Media, https://investorplace.com/2017/12/10-more-retirement-stocks-to-buy-and-hold-for-the-rest-of-your-life/.